Most of the time, I look outside and write about far away places which most people would never visit and share slices of the lives of people most will never meet. This time I thought, let me look closer, much closer, inside myself. As some of you know, my father passed away nearly 2 months ago. Early October, as I stepped out to go to the gym, I looked up at the night sky and saw some bright stars twinkling. Something about the stars triggered the thought that one day I will get a call informing me that my parents are no more. This is the life of an immigrant, the emotional burden that they carry. So far away from home, from people they care about, not always able to tell how much they care and not always sure why they are away. Couple of days later, the dreaded call finally came. It was 4 am and I was fast asleep. My phone was on silent and it took me a while to realize that my phone was vibrating. As I picked up the phone, I saw there were 6 missed calls. I knew what the call was about. The moment had come. It takes nearly 24 hours of flying to get back home, plenty of time to ruminate. I took solace in the fact that my father had been hearing good news in the last few months. He had been preparing for my brother’s marriage and was in reasonable health. I also took solace that the end was quick and he did not suffer much. I could not have asked for much more. When me and my brother made it home, the body had been on ice for nearly 36 hours already. My father’s face had turned deep purple but he looked peaceful. It looked as if he was asleep and would wake up any minute. I thought to myself, “How does one tell that he is not in deep sleep? What distinguishes this from deep sleep? The body is here all right, then what has changed so dramatically? The only thing which is different is that the body has lost its capacity to self-regulate. It can no longer maintain homeostasis.’ In one minute, I understood why so many cultures had come up with the concept of soul. I was reminded of the shlokas from Bhagwat Geeta – “Just as a person casts off worn out garments and puts on new ones, even so, the embodied soul casts off worn out bodies and takes on others that are new.” Looking at the degenerating body of my father, It kind of made sense why someone would have written that 3000 years ago. I don’t know if there is a soul or not. I don’t know if soul is nothing but another name for consciousness. But, I marveled at life itself which had found this nifty runaround mortality, jettisoning weakening bodies and bringing forth new ones and perpetuating itself till eternity. I felt as if I myself was nothing but a vehicle for life to carry itself forward. As the sleepless night gave way to dawn, we did the ritual bathing of my father and carried him to the nearest crematorium. The body was decaying rapidly, there was some blood on the face and some flies had begun buzzing around. We quickly covered him with wood. I put the last wood and then consigned him to the god of fire for safekeeping. The day after cremation, me and my uncles went back to the crematorium to ‘pick the flowers’. I had heard about the custom but did not know what it meant. As me and my uncles sat down by the remains of the pyre, I finally realized that the flowers that we have to pick are the remains of my father. So, we started separating the charred bones from the ashes and putting them in a white sack. At one point, my uncles debated which bone was the one that they had in hand. It was the pelvic bone. We needed to go to Ganga to deposit the ashes in the river. As I sat in the car with the white sack containing the remains, my aunt told me to hold the ashes in my lap – ‘Your father cradled you in his lap all his life, now it is your turn.’ And, off we went, with me carrying my father in my lap. Once we got to the nearest tributary of Ganga, we distributed the ashes in the river. The river carried the remains out to the sea. What belonged to the earth had been returned to the earth. We are made of dust and to the dust we go back again. In the last 2 months, I have often remembered my father. Last night, I saw him in my dream. I was in Delhi and I got the news that he was having a heart attack. I went to the Safdarjung Hospital and started waiting for him to get there. Then, someone told me that he died along the way. Time seemed to slow down, I waited for a long time outside the hospital, looking at the roads and trying to make sense which road went where. Finally, the auto rickshaw carrying him came up to the hospital. My relatives were trying to pull him from the auto but were having some difficulty. Finally, they managed to pull him out of the 3 wheeler. My father felt very heavy but he was very much alive. As we stood him up, he asked, ‘Kapil aa gaya?’ (Is Kapil here?). I was almost next to him by that time, so I said “Aa gaya”. He said,” End of life scenario lagta hai.” (Looks like, this is the end). I replied, “Kuch nahin, theek ho jaoge. Aap to pahle bhi kitni baar mar ke jinda ho chuke ho. Kaunsi baar hai yeh – teesri ya chauthi”. (Don’t worry, you will be fine. You have come back from the dead so many times. Which time is this – 3rd or 4th?) He smiled, and very cheerfully, almost in a singing voice said,” Kauthi baar hai bera nahin” (Don’t know which time it is). At that moment, the dream ended and I woke up. His happy, amused voice was still ringing in my mind. It was good to hear his happy voice. The dream perhaps referred to the first time my father had a heart attack in 1989 and both of us went to the Safdarjung Hospital in an auto-rickshaw. I remember him sitting down outside the hospital, having pain and crying I think and I stood next to him, not knowing what to do. Then, we took another auto and went to NDMC hospital in Moti Bagh. In the 1990’s, this happened a number of times, when he and I rushed to the hospital in an auto, sometimes to Safdarjung, sometimes to NDMC, sometimes to Deendayal, sometimes during the day, mostly at night. 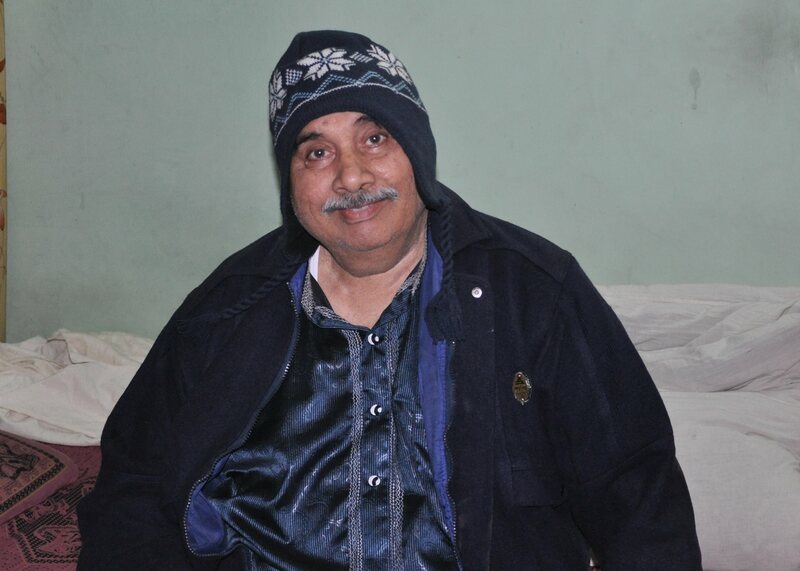 I remember spending time with him in the ICU, and, on multiple different trips, going down to the tea shop outside the hospital for some breakfast. At times, it was like deja vu, the same thing happening a few years later. I remember, once we were standing on the terrace at NDMC and he was happily telling me that he walked to the embassies in Chanakyapuri that day. This perhaps was in 1989 itself. Yes, he had come back from the dead multiple times. Will he come back this time too? I don’t know. The dreams and memories are all intertwined now. It is no longer clear where one ends and the other begins. As an elderly friend of mine used to say, ‘We meet to create memories and part to preserve them’. I preserve the memories. I am the speaker for the dead for now. Life continues, with me as the vessel until someone takes my place.